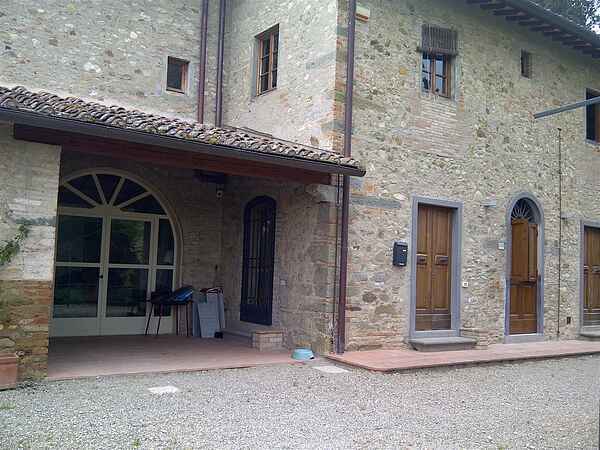 A charming two floors Farmhouse in the Chianti area, surrounded by green hills of olive groves and vineyards. Excellent for adults and children, with living room, a large kitchen and dining room. Large and beautiful garden with lounge area, gazebo with table and chair (gazebo). On request baby chair, baby-box and cradle. Every room has a ceiling electric fan.